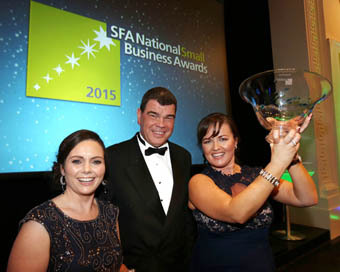 Clevamama has won the Overall SFA National Small Business Award 2015. The ceremony was held on March 4th and the winners were selected from over 500 applications. Based in Swords in North County Dublin and employing 12 people, Clevamama was established by working mums and sisters, Martina Craine and Suzanne Browne. Their products are designed by mums for mums and their aim is to produce innovative products to make parents lives that bit easier.